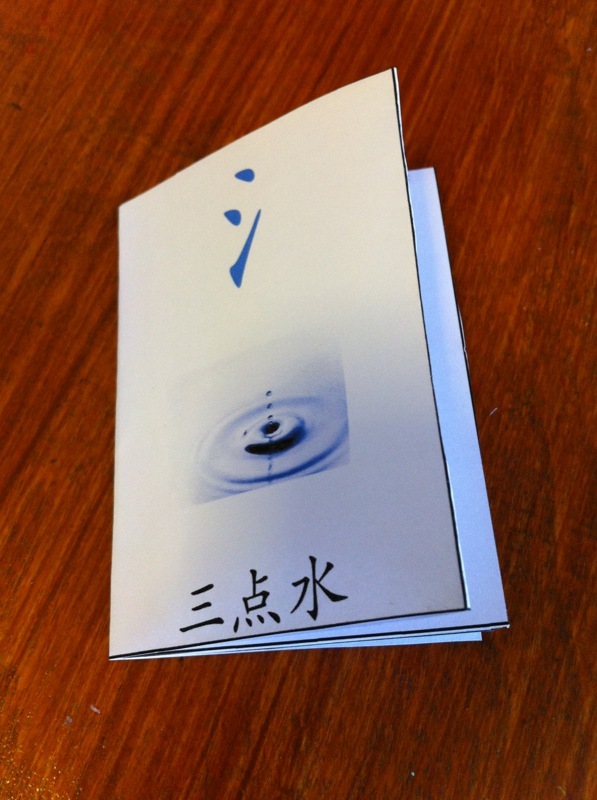 I created a series of Chinese Radicals 部首 Minibooks printables to use along with the Siwukuaidu 四五快读 series. Every Chinese character contains one or more radicals and it is a way to classify the characters according to radical groups. Kindergarten children start learning characters by learning the radicals first. Although I do not adopt this sequence of teaching, I still teach radicals because it is one way to remember the characters. Radicals contribute to the meaning of the characters. E.g. If you see a character with 艹 on top, it is likely to have something to do with plants or grass. The characters from Siwukuaidu 四五快读 are included as much as possible as I want these to be used in conjunction with Volume 7 of the series. Kids who have already learned the characters in the first 6 volumes should be able to recognise many of the characters used in the minibooks. So even if you do not use Volume 7, you can still use these minibooks along with the 6 volumes. However, there are many instance where I have to find characters from outside the Siwukuaidu 四五快读 series either because there are insufficient characters that belong to a particular radical group, or because the characters are too ‘abstract’ to be used along with a pictorial illustration. So kids will learn new characters from these minibooks too. 1. Print out the files. There are usually three pages. One with the pictures and characters. The other with blank boxes. The third page contains the Hanyu Pinyin and English translation of the characters. 2. Most of the time, there are more pictures/characters than empty spaces. So get your child to choose the picture/characters he likes, cut out the picture to paste in the square box, and cut out the corresponding character to paste in the rectangular box. 3. Sometimes, you will see small characters in pink at the bottom of the pictures. They are there to help you explain what the picture means. This is because sometimes a single Chinese character can be rather abstract and cannot simply be depicted by a picture. Hence, it is easier to explain in context and the small pink words are there to help you do that. You do not have to cut them out to paste into the minibook. 4. 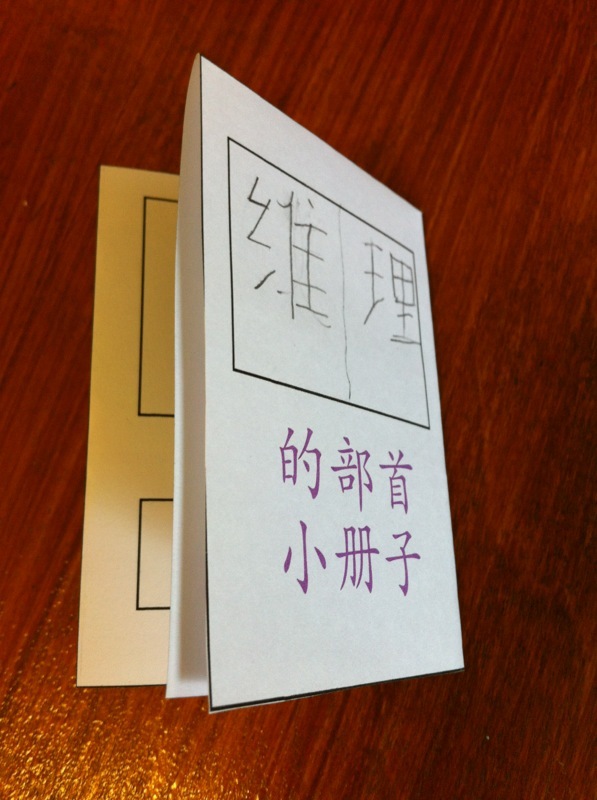 On the bottom row, left most box of the minibook template, there is a ” [ ] 的部首小册子” printed on it. Either get your child to fill in the blank with his name or just “我 ” (“My”). You can fill up the box for him if he is not able to write Chinese yet. This is the back of the minibook. 5. 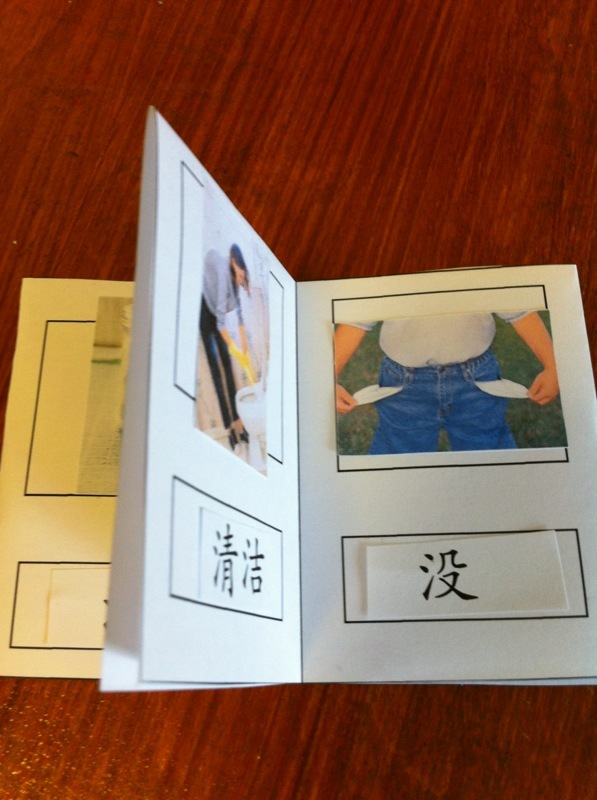 To know how to fold the minibook template into a minibook, refer to this link. 6. Extra 1 : To personalise your minibook, whenever there are things that can be personalised, feel free to use your own picture. E.g. 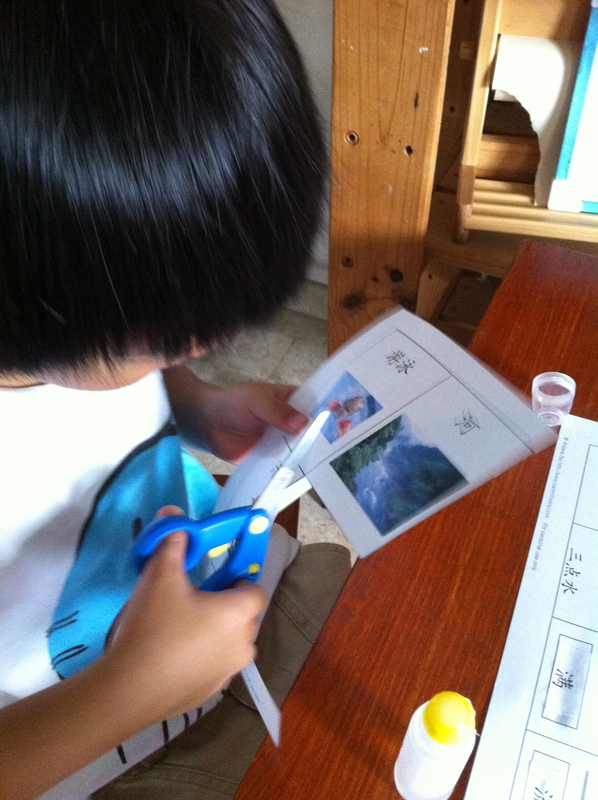 under the 单人旁 minibook, there is the word 伯, which is the word for “the elder brother of your father”. If your child has an uncle, who is your older brother (if you are the father of the child) / an older brother of your husband (if you are the mother of the child), you can use a picture of this uncle. It will make the meaning of the word much clearer to your child. 7. Extra 2 : Some of the pictures on the ‘cover’ of the minibooks serve as very good pictorial depiction of the radicals. E.g. 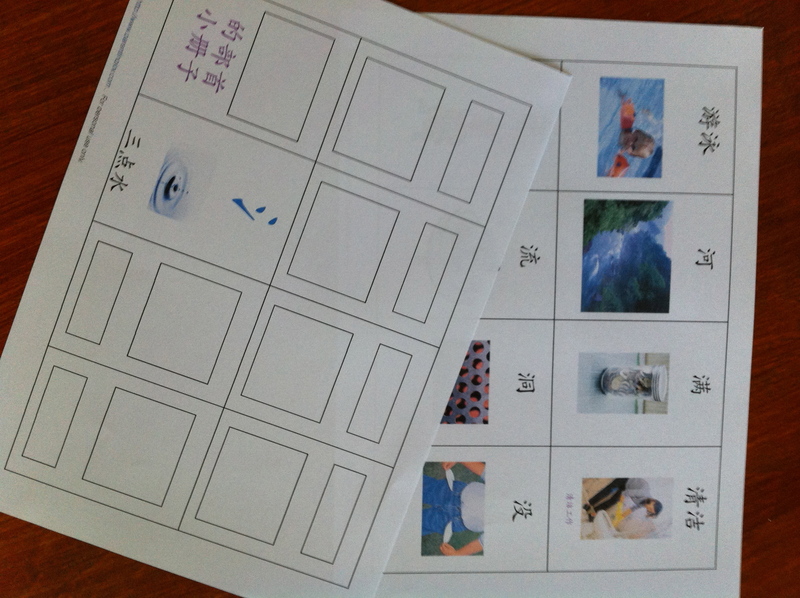 for 冰字旁, the picture is that of an iceberg. For 单人旁, you see a man stretching his arms upwards. If you trace the outline of the man, it looks like the radical 亻. You can use the pictures as illustration to explain the radicals. I tried downloading the minibooks but it points me to 4shared where there were no files in the folder, thus unable to download. I also wanted to take this opportunity to thank you for generously sharing all your Chinese resources. It is very helpful for families that are overseas (in a virtually non-existent Chinese speaking country) and trying to homeschool a ‘hard-to-learn’ language (since I am not a native Chinese speaker). I look forward to seeing more posts about Chinese and learning in general! Thanks for letting me know about the glitch! I have made some changes to the settings. Please let me know if you still cannot access the files. Thanks Angela! I was able to download them without problems. Thanks once again for sharing! Thank you so much for sharing this. However, I can’t seem to download 提手旁 file. Do you mind sending me the file or reposting it? 4shared seemed to have some empty files there. Hi there! I understand there are some problems with 4Shared. I am trying to move everything over to my own server but it is going to take time because there are so many files. I think that would be a better long term solution for everyone. Please give me until the end of the week to sort this out. If I can’t get every one of the minibooks migrated by then, I hope to at least get some of them done at least. I have just migrated my files over. Now they are no longer linked to the 4shared site. Please try and see if you are able to download. It is working now! I am so appreciative of your kind help! Your blog is awesome!